This is my kitchen table. I woke up this morning and my heart felt so full. I realized that gathering around the kitchen table is one of the most “soul filling” things we can ever do. I have been muscling through my new job. My hours are amazing – they are Monday thru Friday close to 8:00 to 5:00. Sometimes there is a conference and we need to get there closer to 7:30am or there is a client dinner or event and we need to stay until 7:30pm. But for the most part, it is a culture that respects the work week of an honest 8:00am start and a 5:00pm departure. Who would ever guess that could exist in the year 2015 where people are working crazy hours in most companies? But, coming from the hotel world this is bliss. The five day work week of Monday thru Friday is a rhythm I have been missing and it feels so good to be on the same work schedule as most of the world. That being said, I now have a Friday night. Meaning, Friday comes and it is a mixture of excitement that you made the 5-day crunch and exhaustion that you have used up all of your resources to stay on task and get to Friday!!! This week was one of those football game Fridays. My husband and I are very faithful to get to the high school game early, watch our daughter dance in the half time show and then walk out of the stadium hoping the team wins, but feeling really happy to get in our car and drive home. Now, I have been the parent of boys playing sports and I know how it feels when your son is on that field and you stay to the very end of every game and watch everything that happens. This being said, I so enjoy the freedom of enjoying the band, watching the girls perform their dance and then being done!!! This week we played the cross-town rival. That did not cause us to change our routine of leaving the game after the half time show. What was different this week was I sent an email out to my dearest girlfriends that I have not been seeing or talking to since my new job and said, “come over to my house after half-time.” Well, my Friday exhaustion was not happy with me when last night rolled around. I thought that my new corporate self could never make it past 8pm on the Friday night schedule. I texted my friends as we walked to the car…. "heading home"….I sent. The only thing I really did to prepare for my friends is clear the kitchen table. 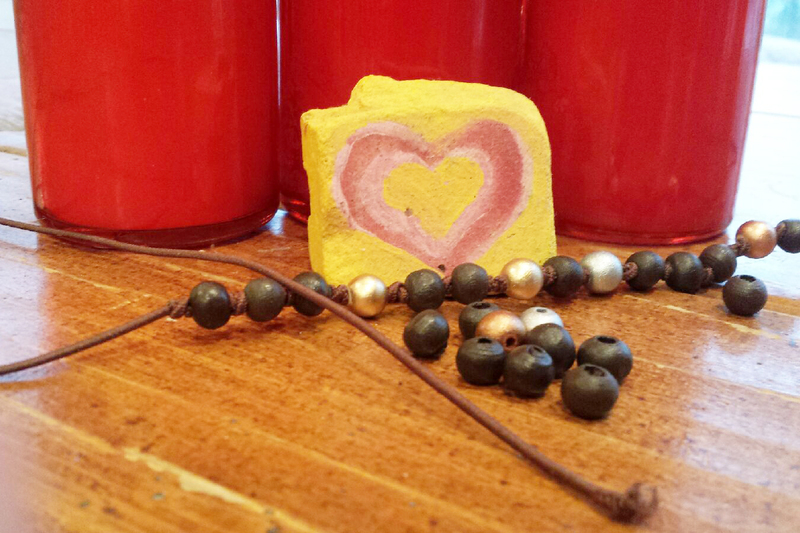 The kitchen table is my bracelet station. It has the bracelet orders for the day, the bowls of beads that are going to eventually become a bracelet, brown bags with names on them for the orders to fill, little notes from people and pieces of paper that I am packing up in boxes for new orders. I grabbed all of it and put it in the laundry room. WOW!!! It was a treat to see that table cleared. The doorbell rings and in walk my friends that live across town at the rival school that we were playing. They are decked out in black and red which is so very comical for those of us in blue and red. They come in and tell me hilarious stories about their dinner conversations. The door opens and a neighbor and her husband come in to join us. The door opens and more people are coming. The popcorn bowl is empty, glasses are all over the counter and we are all sitting around the kitchen table and the kitchen island and sharing what has been going on in our lives. This old fashion face time gathering will never be replaced by a long text, a funny picture on Facebook or even a 10-minute phone call. The feeling of having my kitchen full of friends, laughing, sharing and just being together. No food, no preparation, just friends together catching up with each other about their lives. Oh, my heart has been missing this. These are my friends that have seen me through so many chapters of life. And we are all busy now working, chasing down our children, traveling to care for parents, trying to make it through another week of so much to do and so many places to be. Just gathering in a kitchen brings us all home. Home to that place in our heart where we share things only with those people that really know us, that really know our children, and that show up even when there is no meal, no reason to celebrate, and on a Friday night when everyone is exhausted. If you have not asked friends to stop by your house and just sit around your kitchen table in a long time. I want you to think about it….it is the best feeling and it is so simple. I never realized how much I love my kitchen table. 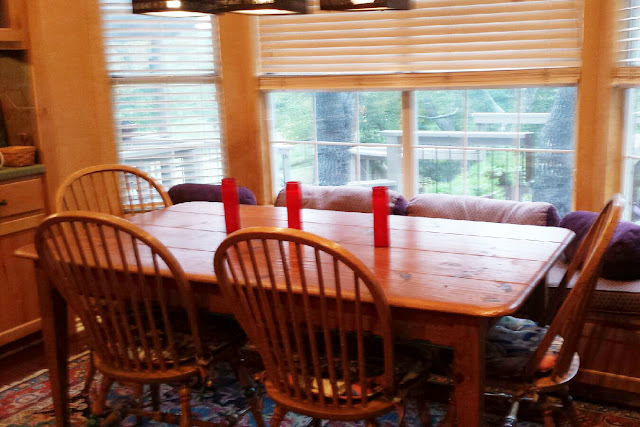 Who would ever guess that a house only needs a kitchen table and enough chairs for your closest friends? My entire house feels better because last night it was filled with love and friendship. To all of you that saw my text last night and actually made it over I love you and thank you!!! It was pure joy to see all of you. 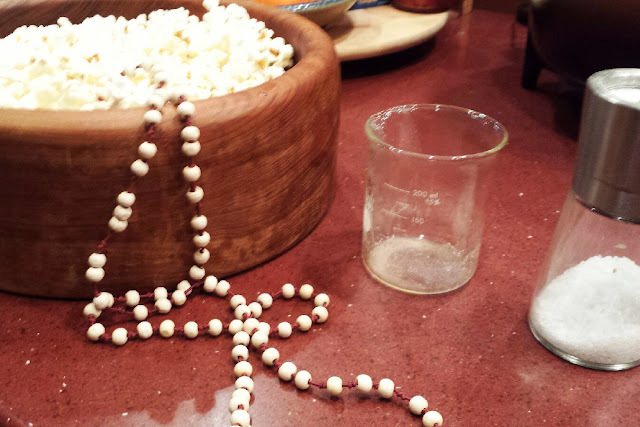 Here is to kitchen tables, good friends and old school popcorn!!! Soul food for sure!